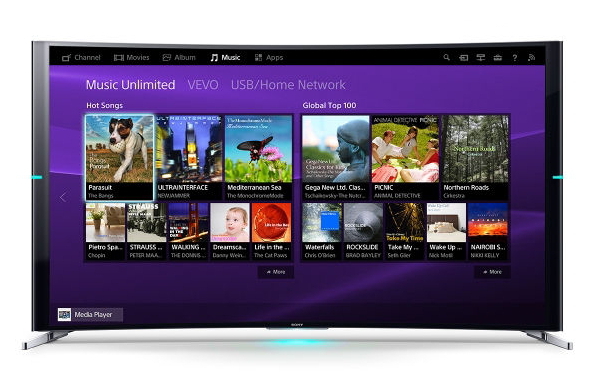 Unlike the competition, Sony came to the table comparitively late with the currently trending Curved TV screen designs. 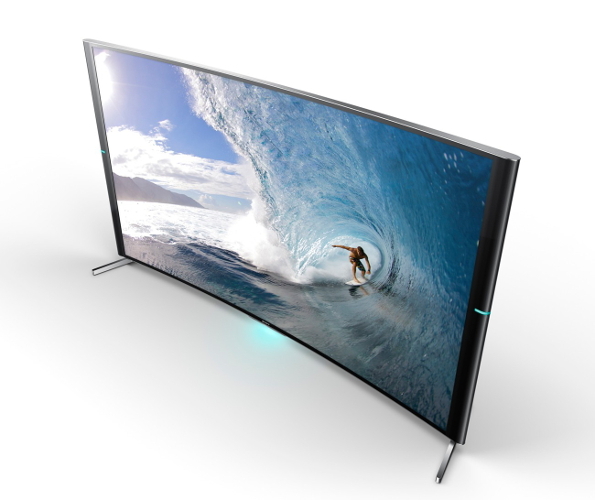 But now, with the S90 series available Sony wants to take the field from behind with its high-end 4K models KD-65S9005 (65 “) and KD-75S9005 (75″). Let’s have a look at its most impressive features. Before Sony began work on its flagship curved television sets, it had the advantage of the knowledge of the failures in the curvature advances from other manufacturers. This ended up being crucial to their successes, as curved screens are inherently problematic by nature: the dependence of the optimal seating position at the front, as disturbing perceived distortion of the image or unwanted reflections from light sources in the room – are minimized, while the a greater perceived, spatial and deeper picture impression obtained with respect to the flat panel remains. In practice, the compromise here turns out to be very successful, the display leaves in the representation of any content a consistently positive impression. Sony “Triluminos” baptized such technology at least partially based on a new approach to the display illumination. Background is the fact that in LC displays, the liquid crystal layer does not own lights. It is only the colouring element of the display and should at best be illuminated with neutral white light. By default, this is generated by so-called pseudo-White LEDs that provide first a spectrum with a high proportion of blue. By a phosphor coating of the LEDs light spectrum is then subsequently altered in the direction of “white”. In Sony’s display now transform instead tiny nanoparticles the light of the pseudo-White LEDs and in result a spectrally purer white light than the conventional method. This results in a more faithful representation of the colours is ultimately possible that claims the LCD panel. An extended colour space as well as provide richer colour reproduction is the result. In addition to work in Sony TV’s powerful processors that also enhance the visual impression using different optimization algorithms. This of course includes, inter alia, the upscaling of content that is not natively available in 4K resolution. The S90-series model in every respect all the work and can prepare for example, the broadcast only in 720p programs of public service broadcasters extremely appealing. Receipt of this and other stations ensures the integrated dual tuner that also allowed of course the parallel tracking and record two different programs. However, the latter requires the connection of an external mass storage since KD-65S9005 and KD-75S9005 have no built-in hard drives. On external devices stored media files – music, video, photos, etc. – allow quick and comprehensive network features both via the Ethernet interface or via a wireless network that streams on the Sony TV. Prerequisite here is merely to support the widespread DLNA protocol. Furthermore, other content through a variety of online services can be called. The selection ranges from ARTE, Netflix, to Youtube and also includes various transmitter-media centers as well as Sony’s own “Unlimited” offerings. The navigation through the various menus works quickly and is about using the individually configurable “My Apps” window make it even more convenient. To control the devices are two remotes included. While one comes in a classic design and only slightly different from older specimens of the typical Sony remote control, the other is provided with a large touchpad and also allows access to all business-related functions. For owners of iOS and Android devices that are both convenient and extensive app “TV Side View” is recommended beyond. 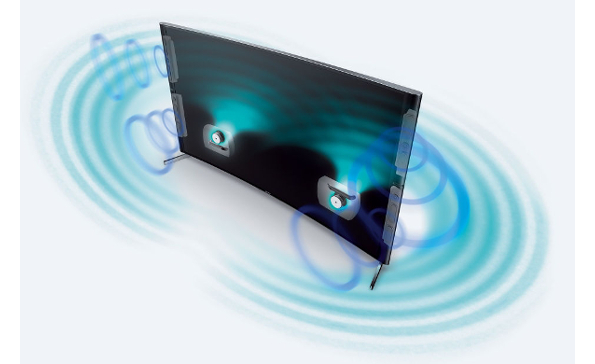 The major drawback of many flat screen TVs – the sound quality of the built-in speakers – relatively small falls from the two models, the S90 series. Within its means the integrated 4.2 system delivers quite remarkable results both in white and fullness of sound as well as in terms of spaciousness to please. The latter is not generated in the S90-series basis alone internal computed delays. The left and right side of the frame placed speakers are easily turned against each other, so that room reflections are specifically used for the design of the room sound. To even more prominently to set the lower end of the frequency spectrum in scene, Sony also offers the optional Wireless Subwoofer Sony SWF BR100. Unless an external sound system is used anyway, this investment is certainly worth considering. No matter which speaker setup ultimately is used, the decision should be taken against the majority getting used to Speaker ears of some other models in favor of a more subtle designs with benevolence note. 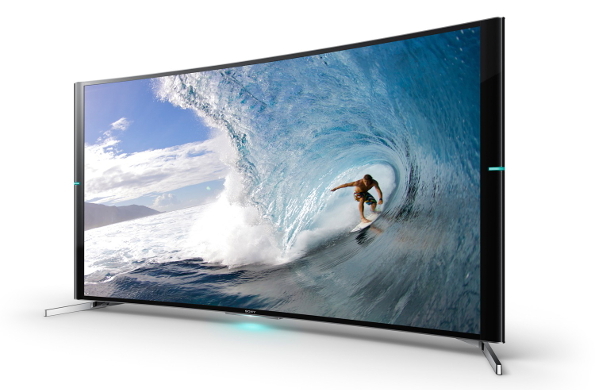 With the two 4K TVs KD-65S9005 and KD-75S9005 a Sony has made a convincing introduction to the world of Curved-TV. The very good image quality in both native 4K content as well as upscaled material, high quality and the ambitious sound system speak for themselves. The slightly delayed launch of Sony’s first domed TVs appear so in a slightly different light: the trend was not as sleepy, instead, the developers have done their homework very thoroughly. The result is two upper-class television that have earned this title not because of the price, but its qualities.